THURSDAY, June 29, 2017 (HealthDay News) -- Call it a step in the right direction: More and more Americans are trying to walk their way to better health. The number of adults who took up walking for exercise or as a way to get from place to place increased significantly between 2005 and 2015, federal health officials reported Thursday. During that time, the percentage of women who walk increased from 57 percent to 65 percent. Among men, the percentage increased from 54 percent to 63 percent, according to the U.S. Centers for Disease Control and Prevention. "People who are physically active have a lower risk of many chronic diseases -- like heart disease, stroke and depression -- and it supports the healthy aging process for older adults," said study lead author Emily Ussery, a CDC epidemiologist. On the downside, although more people are walking, the increase among men has stalled a bit in recent years, Ussery said. And about one-third of adults said "they didn't walk for at least 10 minutes a day," she said. "There is still some work to be done to increase walking." It's not clear why more people are walking, although it could be that messages promoting the benefits of exercise are getting through, Ussery said. "It's an easy activity to do. It doesn't require a lot of special skills or equipment," she said. It's also not known why more women than men have started walking. 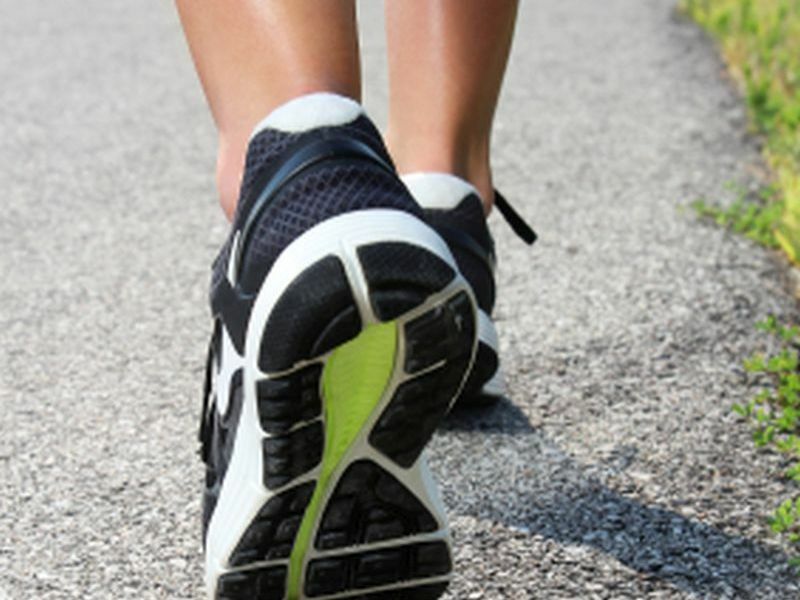 Maybe walking appeals more to women than men, Ussery said. Regardless, people should engage in moderate exercise for at least two and a half hours a week, and walking fits right in, she added. Communities can help get people walking by making streets safer and promoting walking programs. "People need access to convenient and safe places to walk," she said. As with other matters of health, there are racial, ethnic and socioeconomic disparities that exist between the people most likely to start walking and those who don't, Ussery said. Blacks and Hispanics walk less than whites, and less educated and poorer people tend to walk less than more educated and richer folks, she said. The report was published June 30 in the CDC's Morbidity and Mortality Weekly Report. Dr. David Katz is president of the American College of Lifestyle Medicine. He said the CDC finding that "walking rates have trended up over recent years suggests the message is getting out, but progress is slow, and disparities are large and persistent." The people most in need of walking for health reasons are least likely to do it because of the usual social factors -- education, economics and environment, he said. "Affluent city-dwellers can rely on walking to get them many of the places they need to go. Not so for residents of many rural and suburban neighborhoods," said Katz, who also directs the Yale-Griffin Prevention Research Center in Derby, Conn.
"There are some encouraging signs here," he added, "but much work is clearly needed to create the level playing field of opportunity for health." Samantha Heller, a senior clinical nutritionist and exercise physiologist at NYU Langone Medical Center in New York City, said walking is a good way to start an exercise program -- it only takes a pair of shoes and the desire. "Walking is free, we already know how to do it and it can be done virtually anywhere," she said. Heller said walking regularly has been associated with decreased belly fat and better management of weight, blood sugar, cholesterol and blood pressure. It also can lead to a healthier heart, muscles, bones and joints, improved sleep and mood. And it can cut the risk of some cancers, and boost creativity, brain power and immunity, she added. Heller recommends making walking a regular part of your day. "You must schedule time to be physically active every day," she said. Make an appointment with yourself, set aside specific times and days for walking or other physical activity, she suggested. "There are many ways to get moving, including enlisting a partner, joining a walking group, going hiking, and taking a historical walking tour. There is no time like the present to get off the couch and out the door," Heller said. The data in the new report came from U.S. adults who took part in the National Health Interview Survey from 2005 to 2015.